Ppam ransomware is a dangerous PC infection that locks up users' files and then demands a ransom to be paid for the decryption key. The malware was first spotted in mid-January 2019 and is a variant of the GlobeImposter 2.0 family. 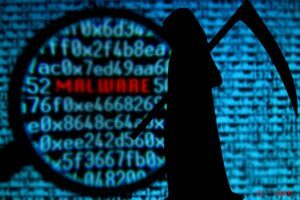 The virus usually gets to victims once they open contaminated email attachments, click on unsafe links, do not adequately protect the RDP, download malicious executables, and similar. Once installed, Ppam virus identifies files of interest (mostly pictures, documents, music, videos, etc. ), and encrypts them with the help of RSA + RC4/AES ciphers and appends .ppam file extension. It then scatters a Restore-My-Files.txt ransom note into every affected folder, informing the users about what happened to their machine. In order to recover data, users are asked to pay 0.19 Bitcoin, which is worth of $700 for the decryption key. All the modifications are needed in order for the virus to run and operate properly. Due to such a complex activity, manual Ppam ransomware removal becomes almost an impossible task for a regular user. Therefore, the use of professional anti-malware software like Reimage, Malwarebytes MalwarebytesCombo Cleaner or Plumbytes Anti-MalwareMalwarebytes Malwarebytes is recommended because it can recognize the virus and eliminate it. Note! This link is available via “Tor Browser” only. Before paying you can send us 2 file for free decryption. As evident, users are sent to a web page that can only be accessed with the help of Tor browser only. Once there, attackers explain that to retrieve the access to their files, they need to pay $700 in Bitcoin into a specified address. Additionally, .Ppam file virus authors offer a free test decryption service, which is very popular among cryptovirus developers because it might give victims a fake sense of security. Nevertheless, it is all in vain, as bad actors might merely take the money and never send the decryptor. Additionally, it would encourage criminals to make more malware and increase their scale of operation. Therefore, do not contact hackers, remove Ppam ransomware instead and then try alternative file recovery methods. If you had backups, you would be able to get all your data back. However, if not, then chances of recovery are quite slim. 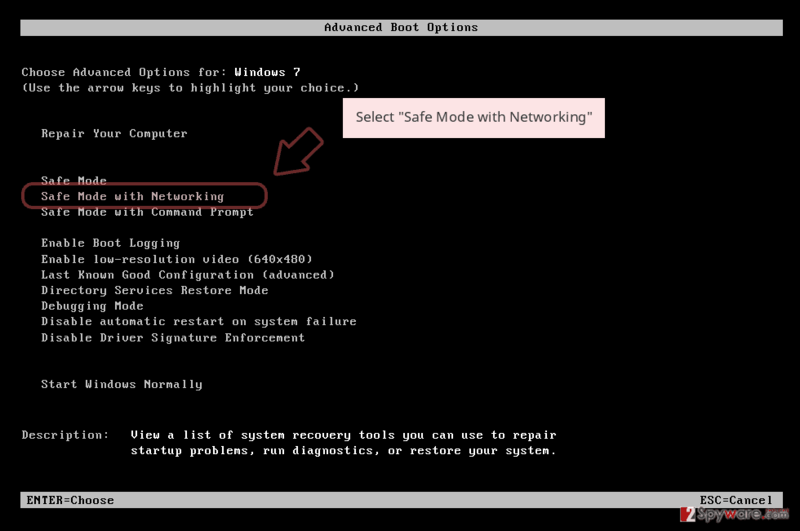 As a last resort, you can try using third-party recovery software – we have a few suggestions below. Evidently, cybercriminals are usually using multiple distribution methods in order to increase the scale of the attack. It is in their best interest of doing so because more infections mean a higher chance of retrieving ransom. Of course, such actions are entirely illegal and are punishable by low. Unfortunately, tracking down malicious actors proved to be quite difficult, although not impossible. Patch your system and software as soon as updates are released. As we already mentioned above, regular users should never try to remove Ppam ransomware manually, as it is too much complicated of a task. Instead, victims should rely on anti-malware applications that could safely detect and get rid of Ppam virus. Ppam ransomware removal might be prevented by its functionality. 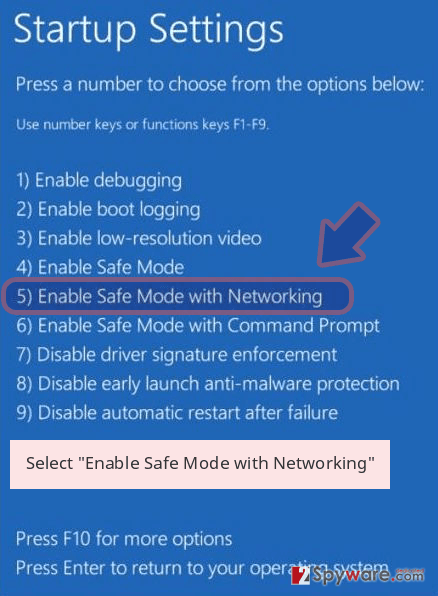 In such a case, you should enter Safe Mode with Networking, as explained below. From there, you can perform a full system scan using Reimage, Malwarebytes MalwarebytesCombo Cleaner or other security software, as the virus' functionality will be disabled in a secure environment. Be aware that you have to eliminate the malware before you proceed with file recovery, or backup files will be encrypted as well! Log in to your infected account and start the browser. Download Reimage or other legitimate anti-spyware program. Update it before a full system scan and remove malicious files that belong to your ransomware and complete Ppam removal. 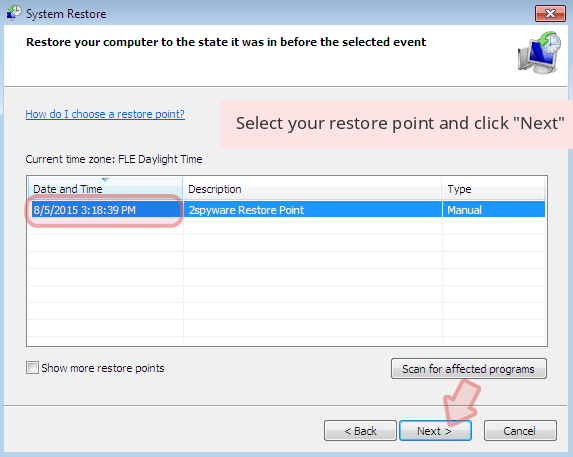 When a new window shows up, click Next and select your restore point that is prior the infiltration of Ppam. After doing that, click Next. 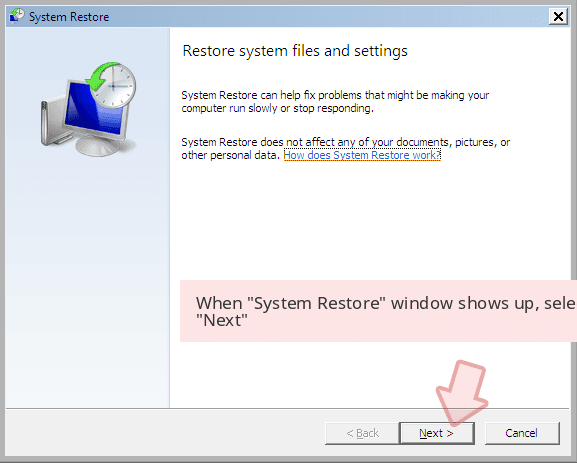 Once you restore your system to a previous date, download and scan your computer with Reimage and make sure that Ppam removal is performed successfully. 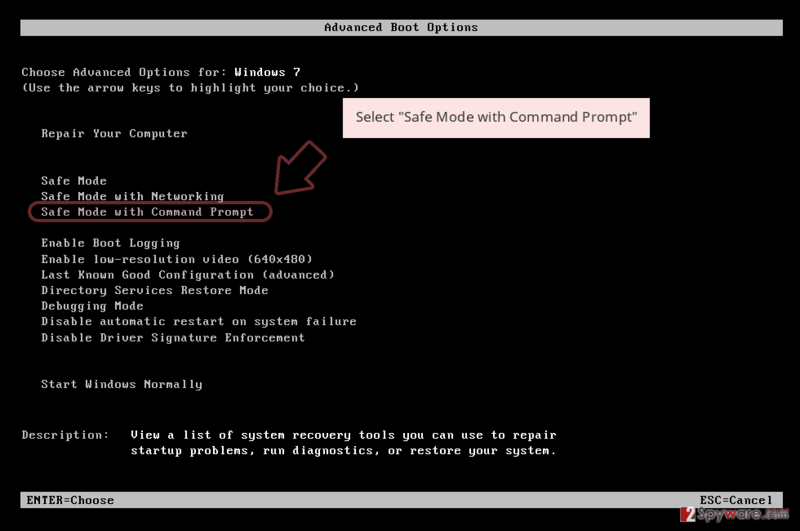 Guide which is presented above is supposed to help you remove Ppam from your computer. To recover your encrypted files, we recommend using a detailed guide prepared by 2-spyware.com security experts. While no official decryptor is released yet, we do not recommend playing ransom, as you can get scammed and never the what you were promised. Instead, try alternative software that might be able to restore data locked by .ppam file extension. Data Recovery Pro is professional software that was initially designed to recover data that was damaged or accidentally deleted. 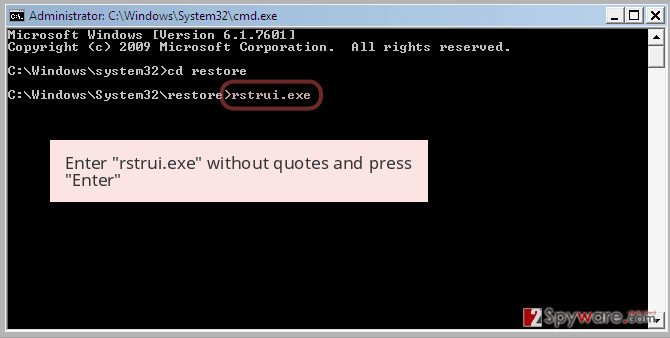 Nevertheless, it has some success in recovering files affected by ransomware. 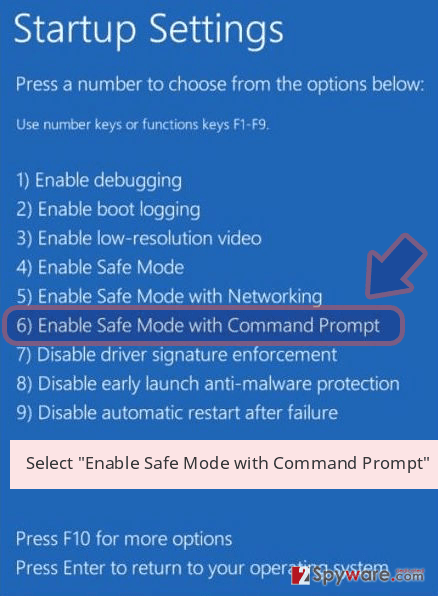 This method is only available if you had System Restore feature enabled before the infection occurred. As previously mentioned, most ransomware viruses attempt to remove Shadow Volume Copies. However, this process might sometimes fail. In such a case, ShadowExplorer will be able to recover all your data. ^ Vangie Beal. Encryption. Webopedia. Online Tech Dictionary. ^ b2469fc766f30bc106017219057aa185d6419b3de7d6a5e90575c0e307e5a1de.bin.exe (id: 3948). Any Run. Interactive Malware Analysis Service. ^ b2469fc766f30bc106017219057aa185d6419b3de7d6a5e90575c0e307e5a1de. Virus Total. File and URL analyzer. ^ FaraVirus. FaraVirus. Cybesecurity analysis. This entry was posted on 2019-01-17 at 05:32 and is filed under Ransomware, Viruses. You can quickly scan the QR code with your mobile device and have Ppam ransomware manual removal instructions right in your pocket. How did you remove Ppam virus?